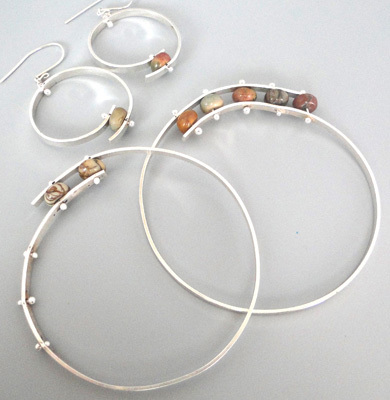 Create a unique wrap-a-round bangle with silver and stones! Complete the looks with complimentary earrings. We will use oxy/propane torch to create hot rivets to capture stones inside our wrap around bracelet and earrings. They are cool, contemporary, and very sassy!